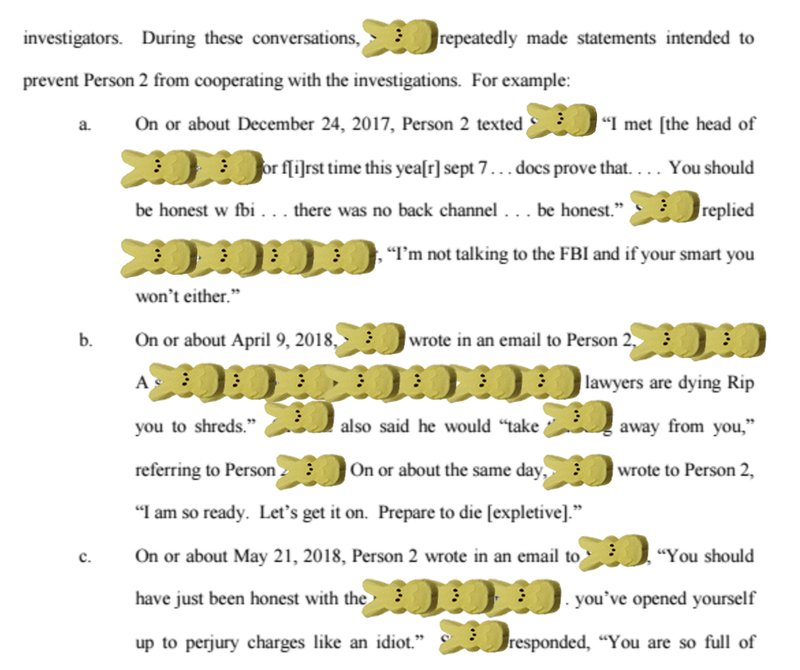 Attorney General Barr, in a seasonal mood, turns to Peeps to make his redactions to the Mueller report. 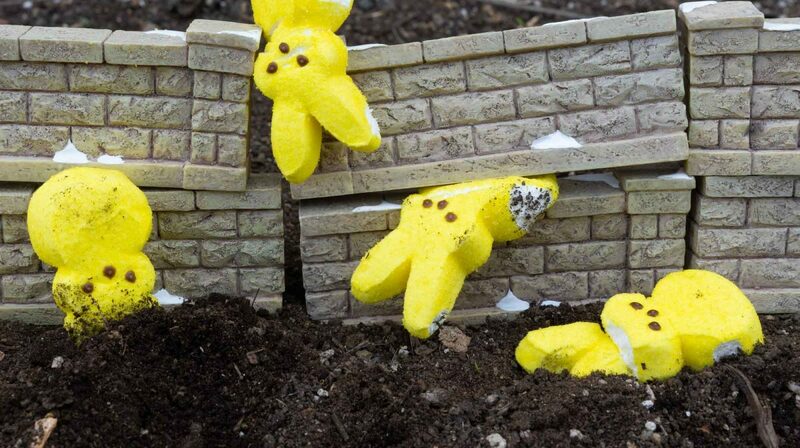 The sudden construction of the border wall has created tragedy among this Peeps, separating and eviscerating them. 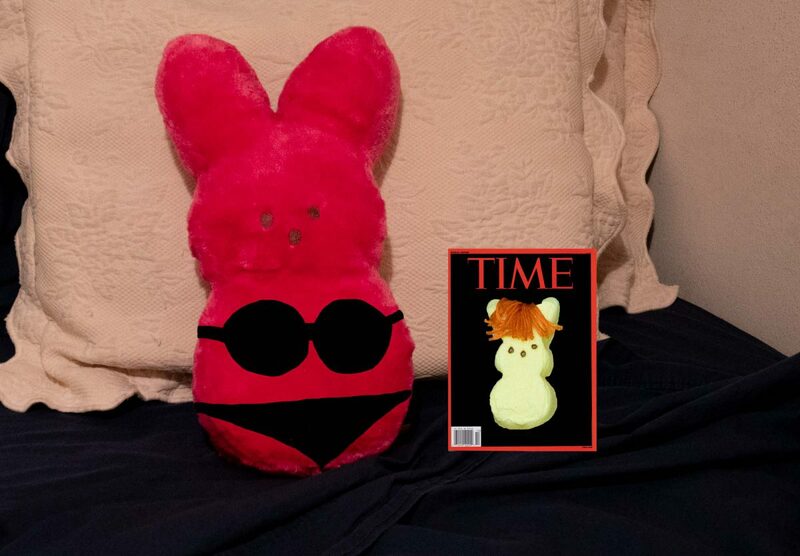 The sight that unfortunately can never been unseen: Stormy McPeep waiting in bed with the infamous magazine. 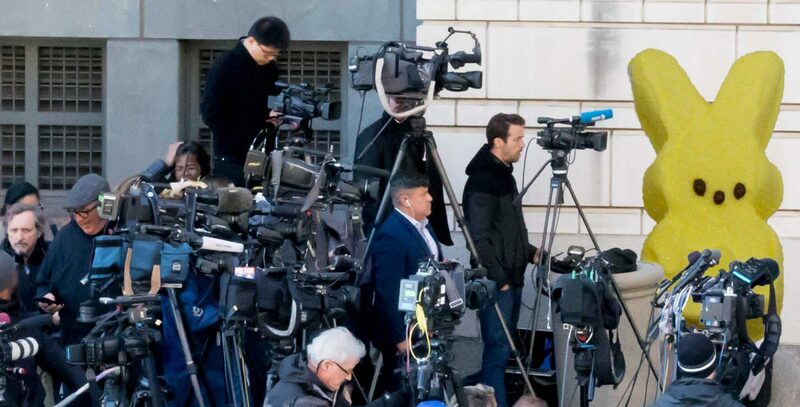 Paul ManaPeep is so incredibly frustrated that the judge’s gag order prevents him from speaking to the reporters. The only way he manages to keep quiet is by not having a mouth. 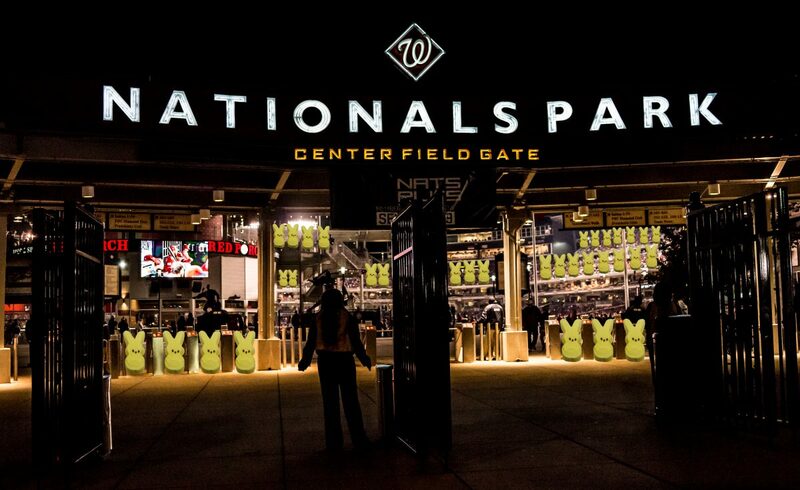 Failing to get opening day tickets for today’s Nats game, the Peeps figured out how to sneak in last night by jamming the entry gates. The guard stared in horror when she saw what they had done, but was powerless to stop such determined fans.